The Circle of Life Tarot cards are illustrated by Pietro Alligo and Alessandro Starrantino. It is the first circular deck issued by Italian card publisher Lo Scarabeo. The pictures are filled with different characters such as fairies, insects, mythical creatures, elves, nymphs, half human-half beast type characters. The art is watercolor, the names of the cards (in 6 languages) flowing along the borders. 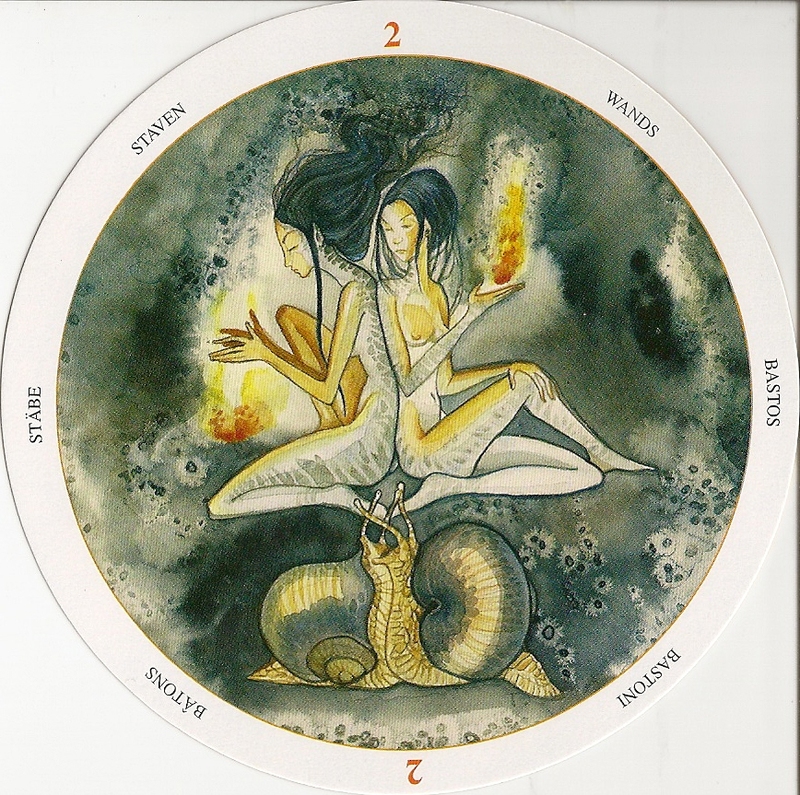 The LWB gives some information about the tradition of round tarot cards, in this case to illustrate the cycles of life and also goes on to discuss the symbolism of circles according to different cultures. The multi-lingual booklet then includes a sentence or two about the meaning of each card .